MeL now features Britannica School as a database – a resource for student as the go-to site for research. 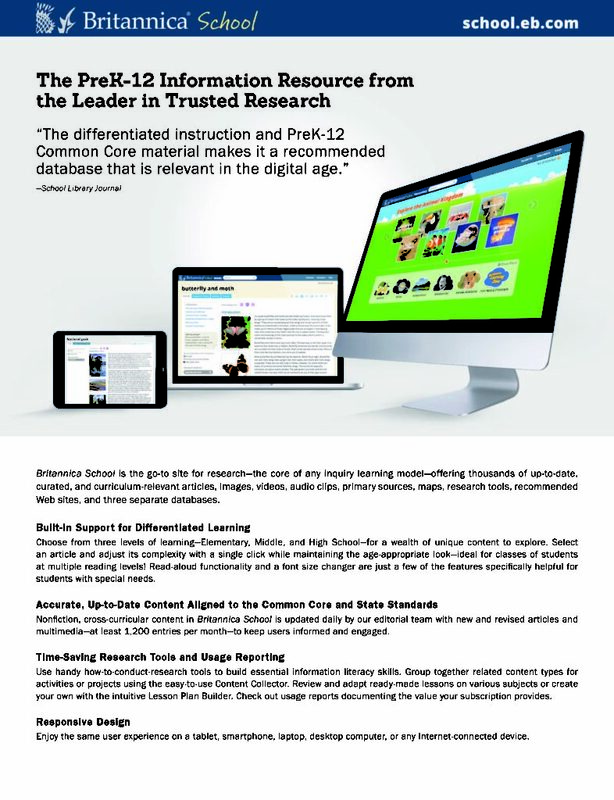 Britannica School offers thousands of up-to-date, curated, and curriculum-relevant articles, images, videos, audio clips, primary sources, maps, research tools, recommended Web sites, and three separate databases. The separate databases are: Elementary, Middle School, and High School. Each has a wealth of knowledge to explore. 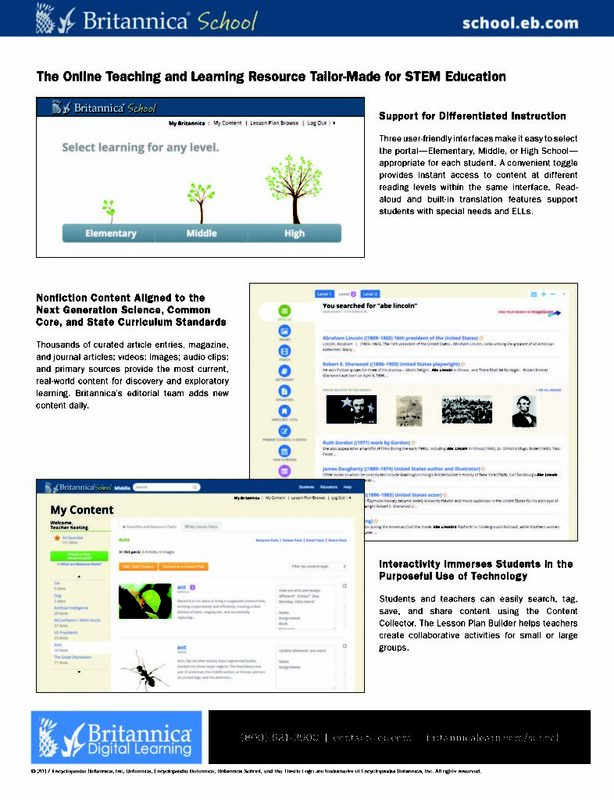 Select an article and adjust its complexity with a single click while maintaining the age-appropriate look—ideal for classes of students at multiple reading levels! Read-aloud functionality and a font size changer are just a few of the features specifically helpful for students with special needs.